Our special aluminium alloy is injected into a mold and let cold. This allow's each product's body to spread the heat in a fast and consistent way and resist to shock and deformation. 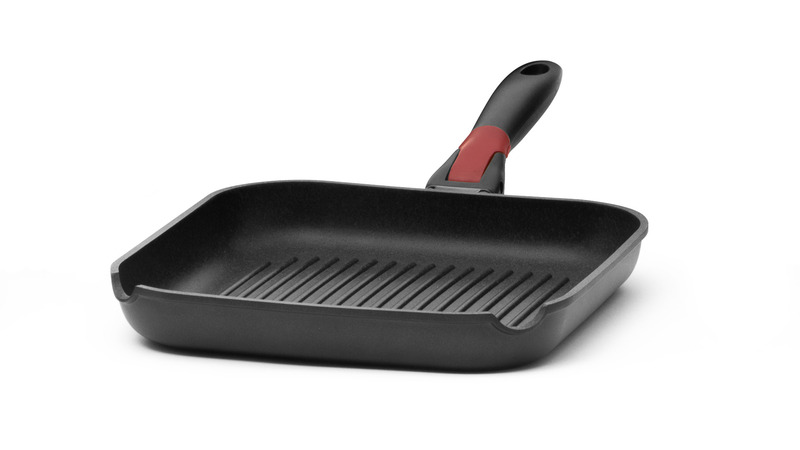 We teamed up with Swiss brand ILAG to offer you the highest quality nonstick coating. The Granitec technology consists in a five-layer nonstick coating, reinforced by ceramic scratch proof particles that guarantee a long lifespan and unparallelled abrasion and corrosion resistance. The coating is also environmentally friendly and 100% PFOA free for safe food contact. Coupled with our high quality Aluminium Body, we added a special and thick reinforced stainless steel bottom. This will grant a faster heat distribution, allowing these products to cook greatly with gas, ceramic, induction, electric or any other cooking technology. Comfortable removable bakelite handle designed to save space in your pantry and to offer you a quicker and easier cleaning. 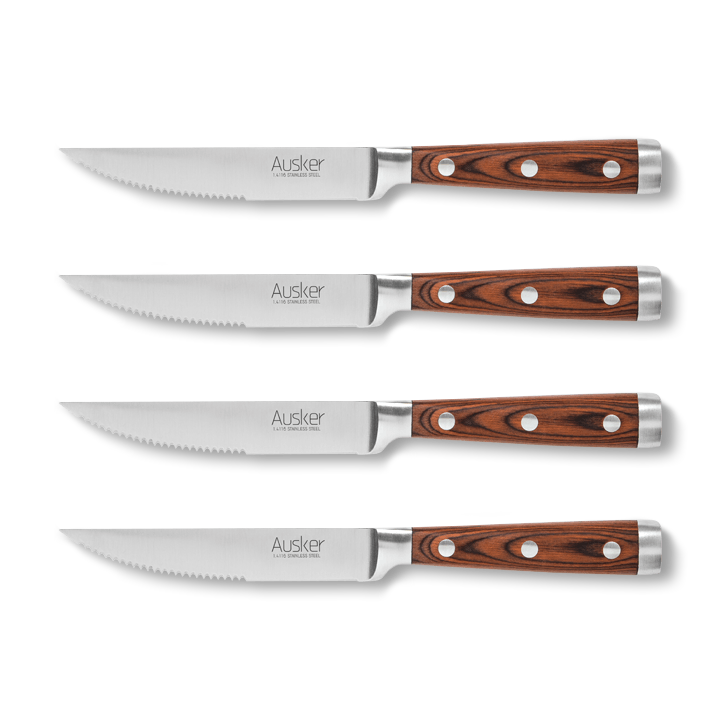 Often grease is a problem during cooking fattier cuts of meat. So, in order to easily get rid of all that unwanted fat, we included two pour spouts. "Put the grill pan to use to finish the sear on a reverse sear steak. It worked perfectly on my induction cooktop. Nice attractive set. Good job!" "UK delivery received a couple of days ago. 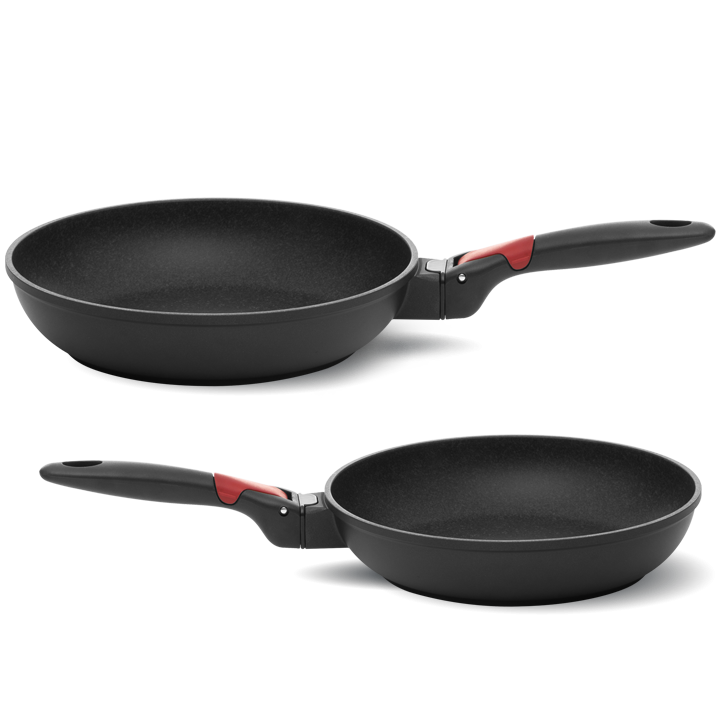 Lovely pots and pans, thank you for being so professional and communicative at all times." 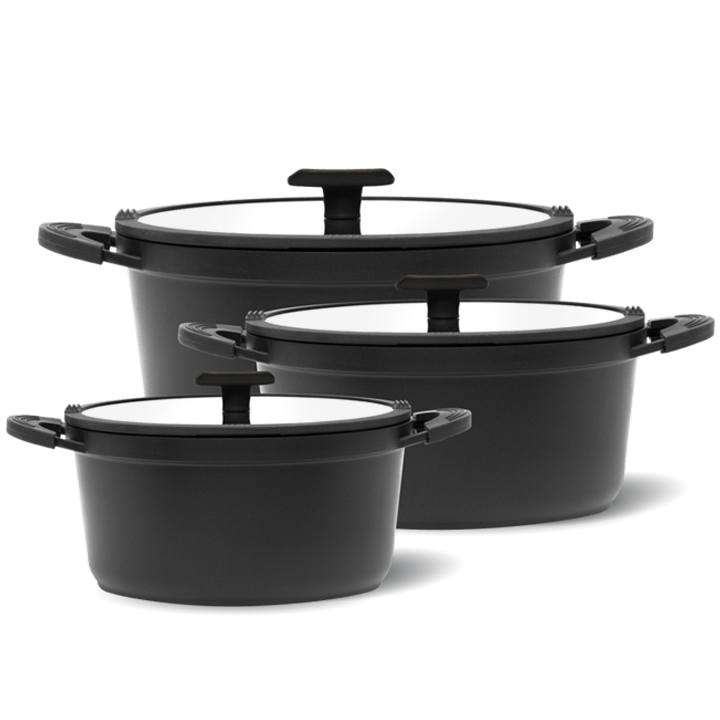 "I am so impressed with this cookware. Received it, and started using immediately. Thank you for this awesome product." 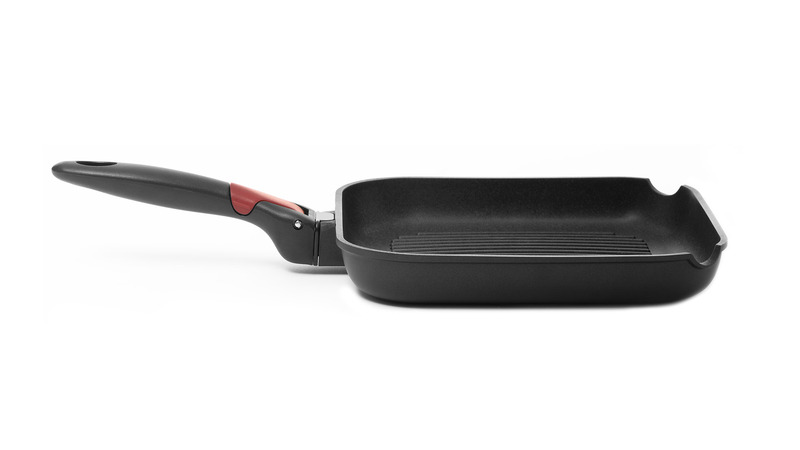 This grill pan will make you feel like a professional home cook while grilling your favorite meat and sharing incredible moments with your friends!